A friend of mine arrived in the US one week before me, and when he told me his department had to pay $8 a month to the university (namely PSU) computer services for his computing account (email, computer login…), I was like, wow, this is theft. One week later I arrived in Pittsburgh and CMU, quickly got a computer account. While browsing the various docs about their computer systems (I was trying to login into a “general purpose Linux machine” which I supposedly had access to — I actually hadn’t since they had forgotten to create the account on this specific machine), I discovered that the monthly fee for an user account at CMU was $105. Still stunned. Let’s mention that activating an ethernet outlet is also a charged service, just as registering a machine on the network (so yeah, you (or your department) have to pay both the ethernet outlet activation fee plus the machine registration fee). Isn’t this whole system crazy ? Isn’t it normal work to activate an outlet on a switch configuration/plug a ethernet wire in the said switch or to hit the validation button of a probably automated script to add a machine to the network ? I seriously wonder what’s wrong with French names here in the USA. Before leaving France, I called my French health insurance (namely MGEN), telling them that I’d be in the USA for 6 months, and they told me like, “well sure, no problem, just fill these two forms and email them back to us, we will move you to our international section real quick and you’ll be fine”. One month later, and almost 4 weeks after my arrival, they finally processed my request and I’m about to be moved to the said section… as soon as I pay by check a certain extra amount of money. Wait… you know that I’m abroad and that I can’t seriously send this check, right ? Just upgraded this WordPress to 2.7.1, and wow, this new automatic upgrade system is great. All I had to do was type my ftps logins and hit the Upgrade button. Congrats and thanks to the WordPress team ! Short story : linking two individuals seems to be just a matter of having enough data about them. Long story : I’ve been claiming for a few weeks that there is one girl (which I don’t know personally, just visually) here at the ENS who looks like my girlfriend (actually, I’m claiming my girl friend looked like her 2 years ago, but that doesn’t matter much). I was able to show her to my girlfriend last week (by the way, ENS “Urban Night” was great ), and she now thinks I’m completely crazy since, according to her, there’s nothing in common between them. Since I hate being wrong, I went on and found the girl’s name after some extensive ENS students directory lookup, which lead me to her Facebook profile. I didn’t even have to run some facial comparison engine, the missing link appeared immediately. It was so obvious I was astonished I hadn’t guessed it before. The resulting matching is simply perfect. Have fun using Compiz Fusion! Hurrah, farewell Classes Préparatoires ! The great news there is that I can now get on coding without any bad thought about the fact that I /ought/ to be working maths or physics. 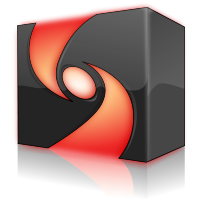 We have just released Compiz Fusion 0.7.6, based on Compiz 0.7.6 which was released just two days ago. This is a new development release, introducing a few – yet shiny – new plugins, some new features, and a bunch of ccsm and simple-ccsm changes, alongside the usual translations updates and bug fixes. Entries (RSS) and Comments (RSS). 16 queries. 0.123 seconds.